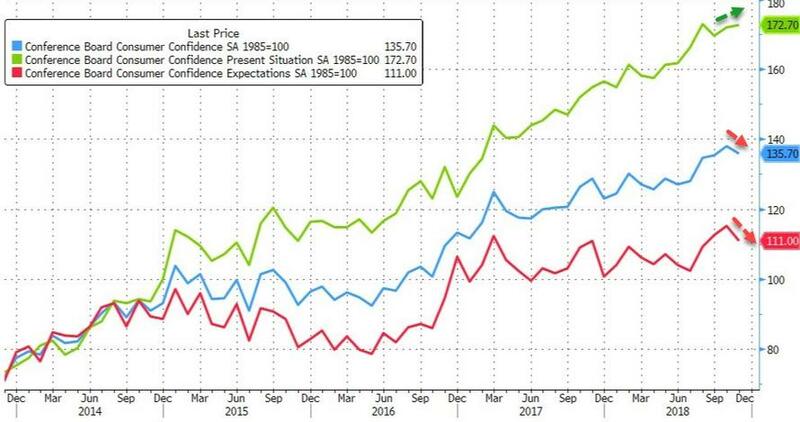 After surging to new cycle highs in October, Conference Board consumer confidence was expected to weaken in October and it did (dropping from 137.9 to 135.7). Consumers’ optimism about the short-term future declined in November. 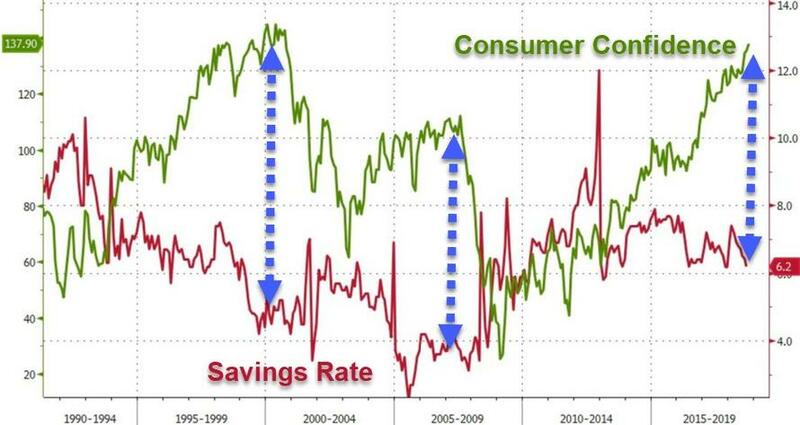 The percentage of consumers expecting business conditions will improve over the next six months decreased from 26.3 percent to 22.5 percent, while those expecting business conditions will worsen increased, from 7.2 percent to 8.8 percent. Notably only the 35-54 cohort saw overall optimism decrease (tumbling from 143.2 to 132.0) while the younger- and older-cohorts saw confidence increase. Income expectations also fell from 16.5% net expecting an increase to 13.7% net (the lowest since June).